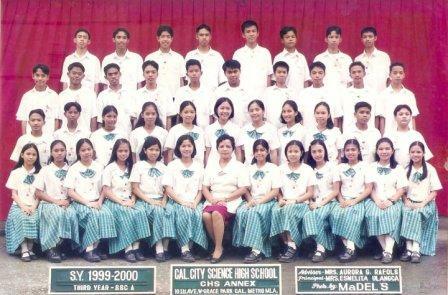 After my disappointment year during my sophomore year, let us now go to my most precious year in high school. This is my Junior or my third year high school year! Did you know that this year was my "Golden Year" in high school?! Yup, it was my most successful and most memorable year to me during high school! My academic career and my love life really bloomed during this year! Academically speaking, I really performed best in all my subjects! I was a top-rater in our hardest subject Science and Technology III which was Chemistry! I consistently got a ceiling grade for this subject. And I further won in our different Quiz Bee competitions! All my subjects, I got the highest grades! And most of all, I became the Top 2 in our Top 10 Honor roll! Of course this was my most romantic yea in HS. This was the year when I felt the so-called 'first love'! Wow! Falling in love with a fourth year student, my co-history quiz mate was the most memorable moment or the trade mark of this year! To be exact, it was September 19, 1999 when I first met her during our Philippine History review. From that moment, the rest of my third year high school days were turned upside down because of her! I really felt so 'kilig' reminiscing our moments! "Born For You", "Before I Fall in Love", and "I Knew I Love You" were some of our theme songs! Black Cat on the Pillow Sofa! June: A Back To School Special!